Please contact me with any additions. Read about a visit here. 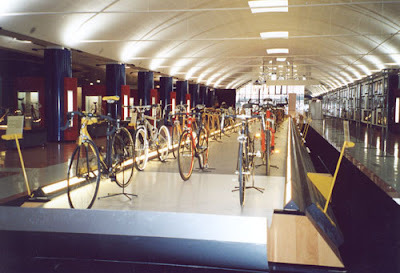 This museum has automobiles, motorcycles, bicycles and mechanical instruments. A visitor wrote, "this is the most complete representation of the evolution of the bicycle that you’re likely to find anywhere." 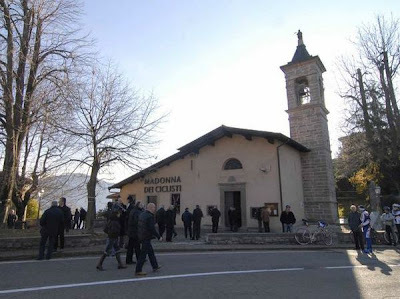 The home to the Coppi brothers has been restored and is open on holidays and Saturdays (best to call 339.0143-744907 in advance). 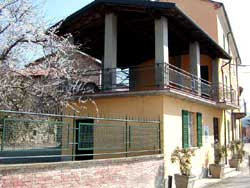 In addition to the home there is a documentation center, mausoleum and small museum. 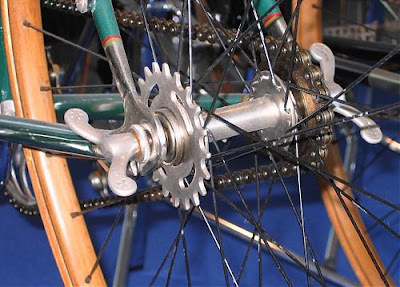 Museo della Bicicletta "GIANNETTO CIMURRI"
Open to the public by appointment. The collection is based on items collected by Giannetto Cimurri who was a masseuse for many champions. 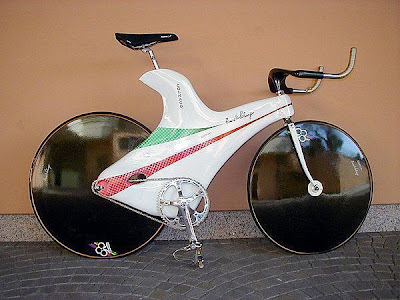 He was present at 8 Olympics and 40 Giro d'Italias. 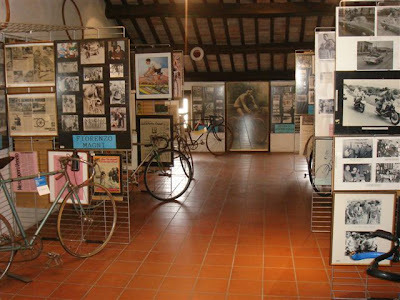 The museum has 135 bicycles, including bikes belonging to Girardengo, Coppi, Bartali, Gimondi, Moser. 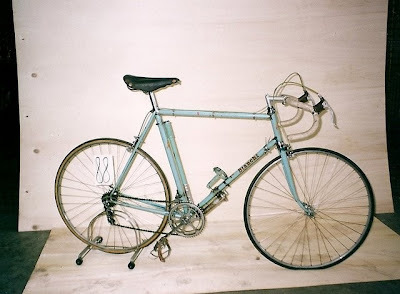 Photo: Bianchi used at the 1953 World Championships in Lugano by Coppi is among the bikes at the museum. 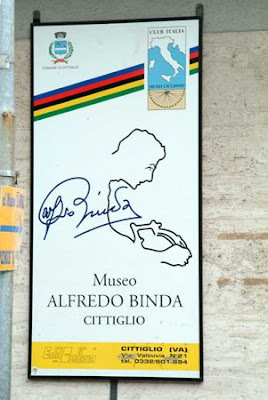 The museum was inaugurated during the 1998 Giro d'Italia del 1998 and has been collecting bicycles, jerseys, and memorobilia through contributiuons. 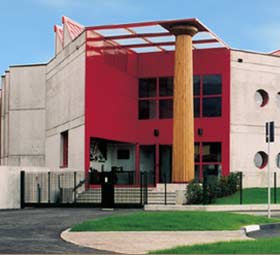 Multi-media museum in the birthplace town of Marco Pantani. 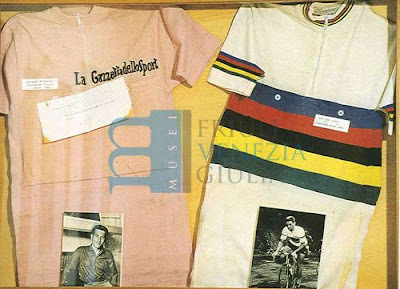 The museum contains exhibition of photos, bikes, memorabilia and audiovisual materials. More details here. Racing bicycles, jerseys and other cycling memorabilia located on two floors of 14th century Renaissance building. More details here. 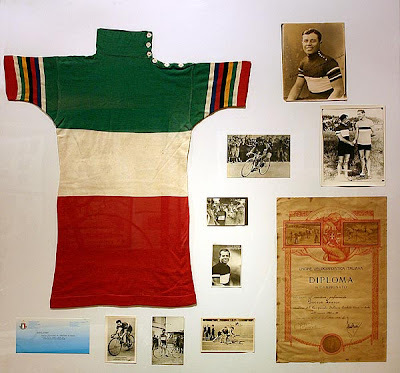 Among the highlights of the collection is the first pink jersey in the history of the Giro d'Italia, the rainbow jersey of World Champion, the yellow jersey of the Tour de France, and the tricolor Italian national championship jersey. 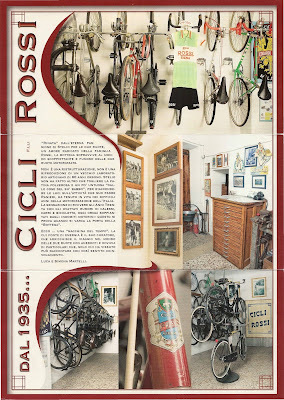 There are also trophies, photographs, memorabilia and bicycles. 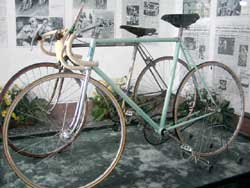 One of the bikes is a MAINO that Guerra used to win Milan-Sanremo in 1933 and the Giro d'Italia the following year. More details here. 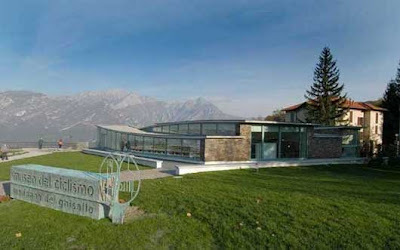 Note: as of January 11, 2010, the museum had been cloased since December 1, 2008, due to restoration of the palazzo. 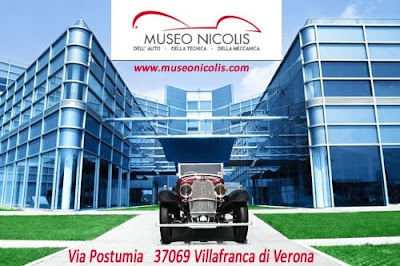 To contact the Museum staff please write to their e-mail address: info AT tazionuvolari.it, or contact Automobile Club Mantova, piazza 80Â° Fanteria, 13- 46100 Mantova (tel +39 0376 325691). Private museum but open to the public. 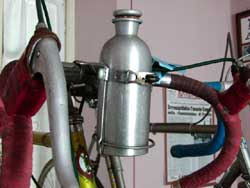 Museum contains diligently preserved equipment, tools, bicycles, parts and accessories. The collection also includes a substantial collection of books and vintage magazines. Reservations for the museum can be made by calling 349 5263212 or by email (see here). Map updated to show added museums. 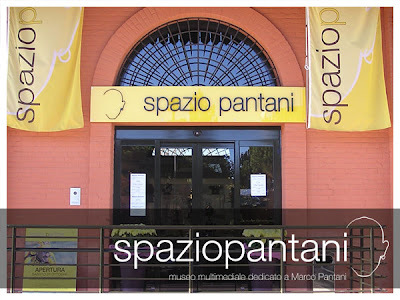 There is also Spazio Pantani. Guess what's the focus of that museum? Book: "100 Years of Passion"
Armstrong: "More About the Giro in a Week"
Team Time Trial "Michele Bartoli"
Who Has a Campagnolo 75th Anniversary Jersey?